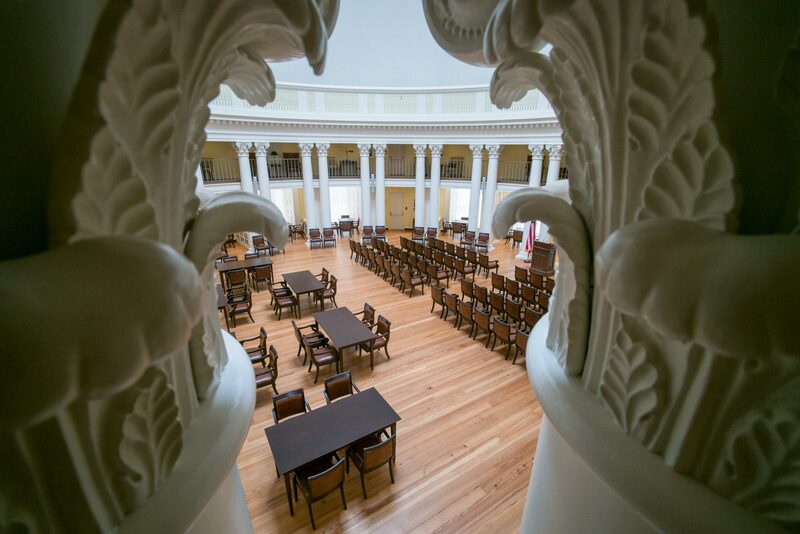 The architects who worked on the renovation of the University of Virginia’s iconic Rotunda have been honored by their peers for their contributions. 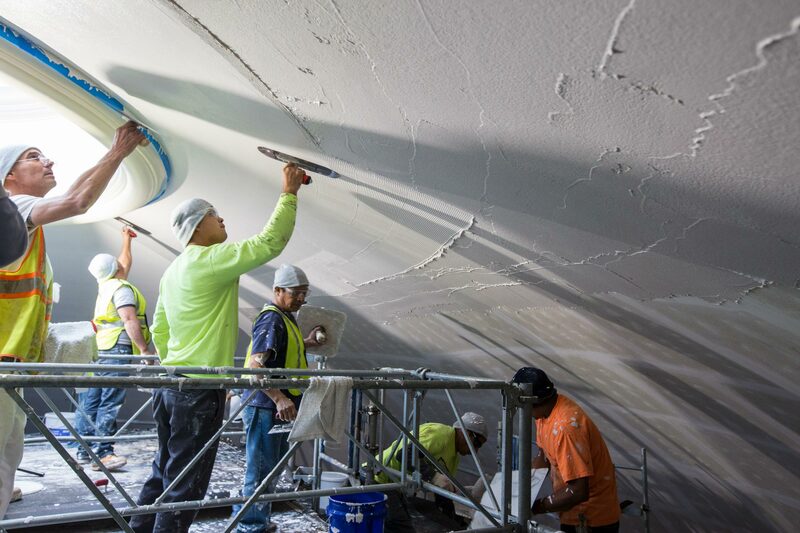 The American Institute of Architects honored John G. Waite Associates, Architects, PLLC of Albany, New York, with one of the nine 2019 Institute Honor Awards for Architecture for its work on the four-year Rotunda restoration project, which concluded in 2016. Honorees were judged on an individual basis and not in competition with each other. The Rotunda, designed by University founder Thomas Jefferson and re-envisioned by noted architect Stanford White after an 1895 fire, is the centerpiece of Jefferson’s Academical Village. It underwent extensive renovation and restoration from 2012 to 2016, which included installing a new copper dome; restoring Carrara marble capitals atop its exterior columns, as Jefferson originally designed; adding modern mechanical systems, including underground service and support rooms; and upgrading the signature Dome Room. Waite said the judges were impressed with the complexity of the construction of the underground room, which was built underneath the Rotunda’s east garden and extended beneath the barrel of the original building. The underground addition contains the building’s mechanical services and acts as a staging area for caterers. 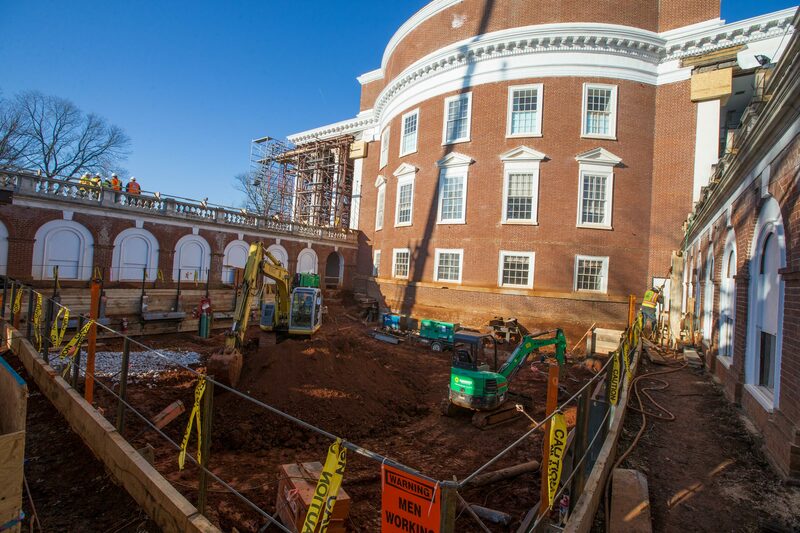 Waite said his firm has been working with the University on Jeffersonian buildings since the 1980s and began working on the historic structures report on the Rotunda in 2006. In a statement on its website, the institute cited the importance of the project. The American Institute of Architects noted Waite’s thorough historic structure report and drawings to understand Jefferson’s original design and subsequent changes. The 1895 fire heavily damaged Jefferson’s original Rotunda; famed New York architect Stanford White then re-envisioned the structure, expanding and altering Jefferson’s design. A 1976 renovation brought further changes to the building. “It is our belief that the collaboration between the dedicated University staff, our architects and other professionals, and the many talented consultants and contractors engaged for the project is the reason for its success,” Waite said. “We are very happy to see this important project and all those who contributed to its restoration honored in this way. “From our founding through current day, these remain our aspirational goals,” Raucher said. Brian Hogg, senior historic planner in the Office of the Architect for the University, praised Waite’s firm for its thoughtful approach to preserving the building’s character and historic fabric. One focus of the renovation was to bring more students into the building. To do this, designers replaced offices and exhibit space with classrooms, and set up study lounges in the upper floors, including the Dome Room. The $58.5 million project was funded through a combination of methods. “I think it is important that we recognize that this project was made possible by the support of legislators in Richmond, who appropriated money for the renovation, and by the generous donations of private citizens, all of whom wanted to see this historic landmark preserved,” said Colette Sheehy, UVA’s senior vice president for operations. In the citation on its website, the American Institute of Architects said Waite’s firm tapped into some of the most advanced conservation measures available. “A leaking roof was replaced with a copper one while specialist contractors cleaned, stabilized, and repointed the brick walls. The building’s exterior metal moldings, dating from the 1890s, were restored, and the deteriorated replacement column capitals on the north and south porticos were replaced with Carrara marble capitals that accurately replicate Jefferson’s originals. 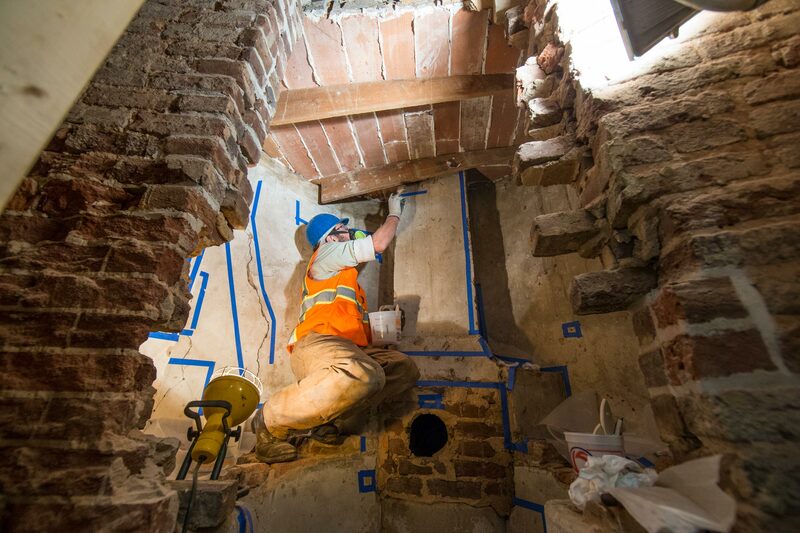 The institute also cited workers’ rediscovery of a chemical hearth that dated back to the 1820s that was used as a pedagogical tool in the original Rotunda, but was later concealed inside a wall. Possibly the only surviving example of a chemical hearth from that period, it is now part of a historic display in the Rotunda.